Though kratom is a safer alternative to opioids and saves lives every year, the state wants to schedule it as a Schedule One narcotic. Currently, The United States is in the midst of what many call an opioid crisis. People from all backgrounds are getting addicted to, and overdosing on, opium-derived substances (Prescription painkillers, heroin, fentanyl, and more) at record rates. Every 11 minutes, another individual dies from an opiate overdose. In fact, the United States leads the world in drug overdoses, and opiates cause the majority of these. But kratom, an ancient drug, may offer solutions. We also have millions of chronic pain sufferers who have few options for treatment other than those very same opiates, which often starts them down the road to addiction. Nearly 80% of heroin addicts on the streets start off on a prescription from their doctor. The question of how to curb addiction and overdose rates been a key issue on the minds of voters, politicians, and public policy experts over the last two years, though an answer has yet to emerge. Some politicians have called for stricter penalties for offenders and higher budgets for law enforcement. However, others counter, saying that the strategy has gotten us nowhere. Decades after the start of Nixon’s war on drugs, despite spending trillions on drug enforcement and building the world’s largest prison population (mostly non-violent drug offenders) drug use has not decreased, and in fact, overdose rates have increased enormously. With conventional strategies failing, many believe the answer for both tackling the opioid crisis and far safer pain management lies in a more natural solution: kratom. Kratom is a powder that comes from the dried leaves of the Mitragyna Speciosa, an evergreen tree native to Southeast Asia. Kratom is a member of the coffee family. In low doses, it produces similar mood-boosting and energizing effect. Higher doses result in sedation. For thousands of years, societies have used Kratom to treat a variety of ailments. Today, it is growing in popularity to treat symptoms such as anxiety, PTSD, hypertension, inflammation, chronic pain, and opiate withdrawals. Many people believe kratom is the future of addiction treatment for opiate addicts, and a treatment that society should welcome, especially given the current situation. Studies have proven that kratom drastically reduces the symptoms of withdrawing from opiates. It affects the same opioid receptors in the brain, but to a far lesser degree than traditional opiates. Kratom can also serve as a safer substitute for addicts. It does not cause respiratory depression, making it nearly impossible to overdose. Kratom also promises to be a safer, less addictive, and cheaper means of pain management. In 2015 alone, healthcare providers filled 300 million opiate pain prescriptions across the country. Given that 80% of heroin addicts started off on prescription pain meds, the first step to ending the opioid crisis is preventing the creation of more opiate-dependant patients. 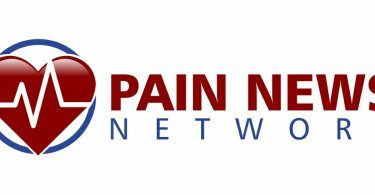 The problem is, for those suffering both acute and chronic pain, the only real options for treatment through prescription are high strength NSAIDs (such as Ibuprofen and Meloxicam), certain muscle relaxants, and opiates. But a large portion of these people could easily treat their pain effectively with kratom, too. As of now, Kratom is fully legal. The government regulates it as a herbal supplement, so it is easy to obtain quality product at cheap prices. But this is likely to change soon. The DEA and FDA have put Kratom in the crosshairs, pushing to classify it as a Schedule One narcotic. Kratom as a Schedule One? The Controlled Substances Act empowers the Attorney General to classify a previously unscheduled substance if the DHHS and the DEA determine there to be an “imminent hazard to public safety”. The DEA had first announced its intent to classify Mitragynine and 7-HMG, the active compounds in kratom, as Schedule One substances back in August 2016. This led to some serious public backlash from kratom users, advocacy groups, and even researchers. Demonstrations in front of the White House took place, people wrote letters to Congress, and a petition garnered over 120,000 signatures. Less than two weeks later, the agency announced it would suspend the scheduling and seek the assistance of the FDA and HHS in conducting a “thorough scientific evaluation”. Kratom is a plant that may be the future of addiction treatment. It is far safer, less addictive, and cheaper then opioids. Now, why would the state want to ban that? Follow the paper trail. In 2015, the prescription painkiller industry generated $24 billion in sales. Drugs like Methadone and Suboxone, which help addicts withdraw from opioid addiction, also generate hundreds of millions in sales annually. With Kratom gaining popularity as a cheap and effective substitute for both pain management and opioid withdrawal treatment, it threatens to burn a hole in the pockets of those who profit off the opioid crisis. Preventing such a loss of profits is why big pharma has poured billions into lobbying politicians and federal agencies over the past decades. Currently, the pharmaceutical industry is looking into isolating kratom alkaloids to manufacture new synthetic opioids, making them patentable and profitable. But the drug companies can’t monopolize and charge exorbitant prices for the potential treatments kratom alkaloids offer without the state first banning the plant. Some may say that this is just another failure of capitalism. However, what is going on now is the opposite of the free market playing out. It, rather, is a failure of allowing government agencies to regulate what we can and can’t use as medicine. When the state can pick winners and losers, the most powerful interests will take advantage of it. Generally, this comes at the cost of everybody else. In February 2018, the FDA made an announcement warning of the dangers of kratom. Specifically, they labeled its active compounds as opiates with a “high potential for abuse”. They made no mention of any possible benefits, immediately framing it as fit for Schedule One classification. Although it is true that certain compounds in the plant bind to kappa opioid receptors in the brain, kratom is not a derivative of, or closely related to, the opium poppy (it’s actually in the coffee family). In response to this announcement, a group of scientists and researchers familiar with the plant wrote an open letter to the head administrator of the FDA, in which they labeled the agency’s description of kratom as an opiate as misleading. They said that the compounds active in kratom are “[Pharmacologically] distinct from classical opiates”. Furthermore, they stated that kratom does not produce respiratory depression (the leading cause of overdose deaths) and has less potential for addiction. They also warned that banning kratom will increase opioid deaths and make it harder to study. After all, only a select few receive permission to study Schedule One substances. Earlier this month, The DHHS recommended that the DEA place the active compounds found in kratom in the Schedule One category. This has many worried, but not surprised. With the blessing and support of both the HHS and FDA, it seems likely that the DEA will follow through with the scheduling. It is clear that kratom is no “imminent hazard to public safety”. The FDA has cited 44 cases of reported “kratom-associated deaths”. However, none of those cases actually resulted from an overdose or toxic effect of the plant. In nearly all of them, the victim had a cocktail of various prescription drugs in their system at death; kratom was only one of many substances in play. Other cases include a man who refused treatment after falling from a window and a teen committing suicide. But because they had kratom in their system, the plant is to blame. The FDA just approved a new opiate (Dsuvia) that is 8-10x stronger than fentanyl. Basically, this says that a plant proven to treat opiate withdrawal is more of a threat to public safety than one of the strongest opiates known to man, during an opiate crisis. Without a doubt, there is a double standard in place. It is painfully obvious whose interests these agencies are serving, and it’s not the American people. For a drug to be Schedule One, it has to be a substance “With no currently accepted medical benefit with a high potential for abuse”. This classification disqualifies it from being a prescription drug. On the other hand, fentanyl and oxycontin cause thousands of overdoses each year, yet are deemed safe for prescription use. Kratom, however, is a natural substance that has never caused an overdose. Why, then, does the DEA consider it unsafe for prescription use? Surely, pharmaceutical profit has far more to do with this consideration than public health. If kratom is banned, there will be hundreds of thousands of patients who have no other choice but to turn to prescription opioids to manage their pain. They will be left with two choices; they can suffer through the debilitating pain or risk addiction to opioid pain medication. Moreover, countless former addicts currently on kratom instead of opiates may reverse back to more dangerous drugs. Banning a plant that is easing the effects of the opioid crisis will only end up worsening it. Basically, the state is showing it would imprison innocent people or let them die before costing the pharmaceutical industry a few bucks. They are fighting the solution, not the problem. Instances like this demonstrate the massive negative consequences of granting a government bureaucracy the power to determine what we can and can’t put into our bodies. Unless people continue to speak out and spread the word, kratom likely will become a Schedule One narcotic. Public backlash stopped the scheduling of kratom before and it can do it again. But even a wave of public outcry may not be enough; the dollars of special interest groups and the corrupt state are difficult to overcome.